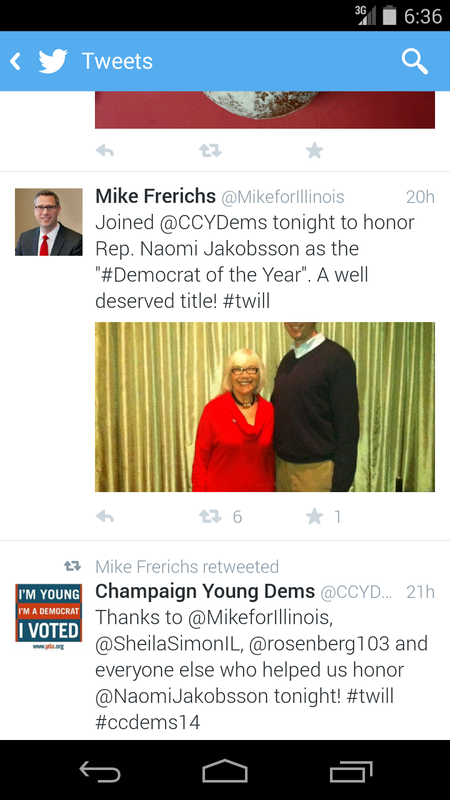 Democrat Latex Salesman Illinois Treasurer's Candidate Mike Frerichs can't seem to get anything right. Especially with social media. 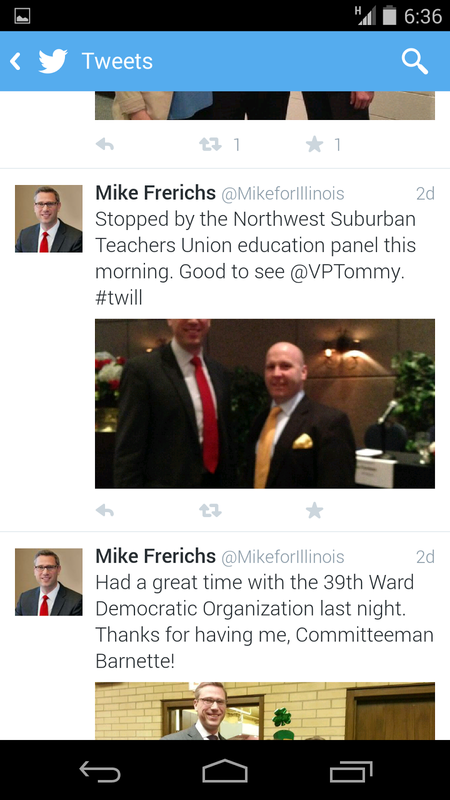 First it was his embarrassing plea for followers while incorrectly using a #FF hashtag. 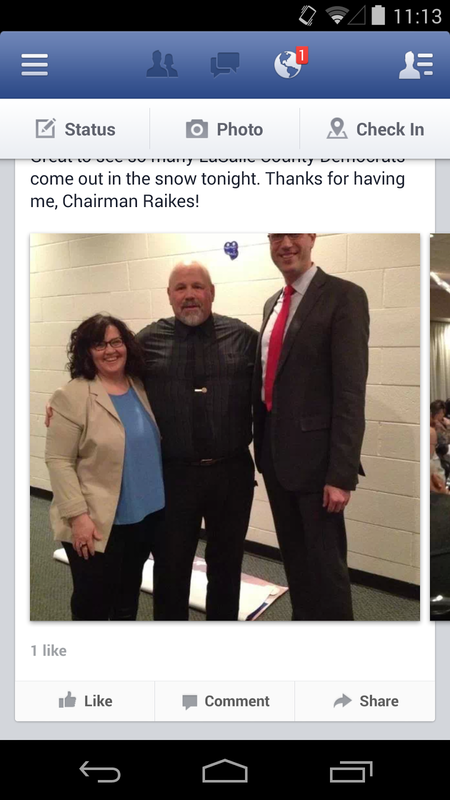 Then it was how he flailed about with his whereabouts on Facebook. And just over the weekend, he posted a photo of him and his daughter sideways. 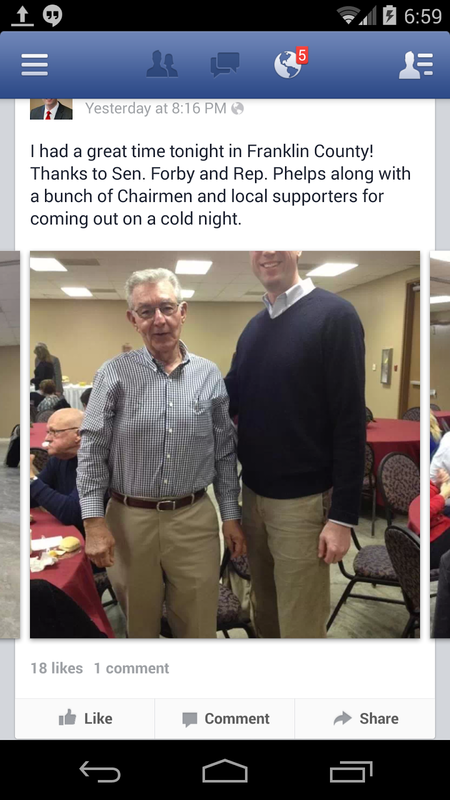 But, now a tipster has shared a bunch of screenshots of how Mike Frerichs is so tall that he's getting cropped out of his OWN photos on Facebook and Twitter.